GoneForaRun.com You’ll find anything you could imagine for a runner at GoneForaRun.com. 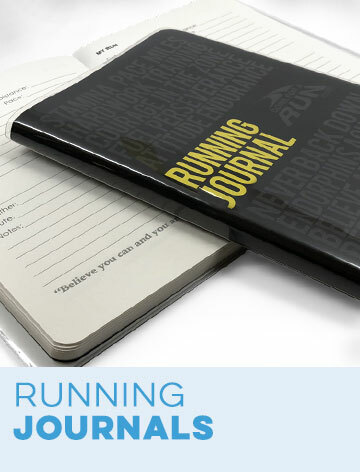 Whether you’re shopping for yourself or looking for a unique gift for a special runner in your life, you’ll find something that really reflects the personality and tastes of any individual runner. 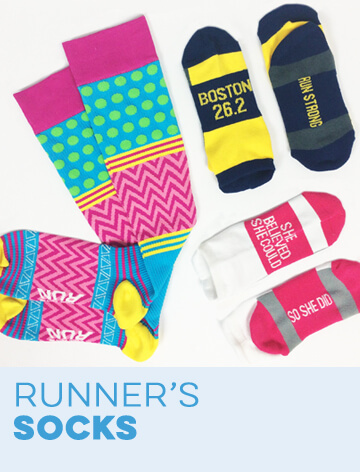 We know running is a lifestyle, and design our extensive line of products keeping that in mind. 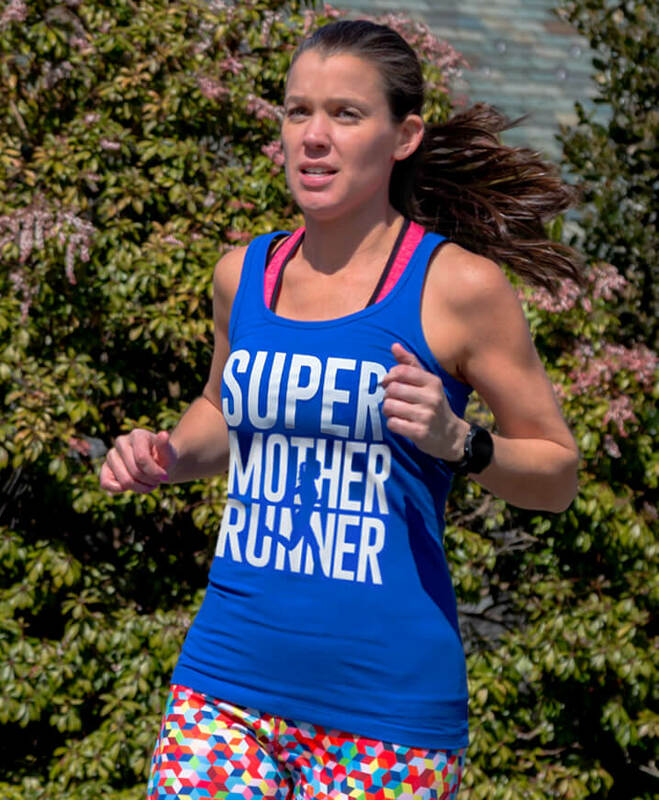 We have performance running apparel such as tech tees and runner’s singlets, as well as everyday wear T-Shirts, lounge pants, and tank tops - plus lots more - many of which can be personalized with race distances, names, or the text of your choice for a one-of-a-kind look. 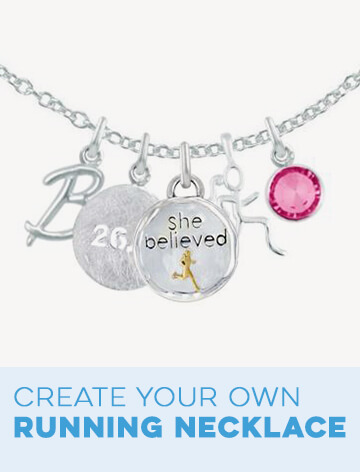 Our running jewelry is a great way to show a love for the sport and many styles of necklaces and bracelets can be custom engraved and have the option to add additional charms for unique pieces. We have an extensive selection of home decor with running throw pillows and blankets, medal and bib displays, glassware, coasters, and so much more. 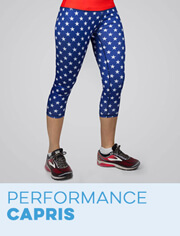 GoneForaRun.com is a runner’s lifestyle shopping paradise, and the perfect place to find running gifts like no other. For too long, runners have hidden away their hard-earned race bibs and medals in drawers or boxes, only to look at them once in a great while - and we think that’s a shame. Running should be celebrated, and our bibs and medals should be displayed and admired. 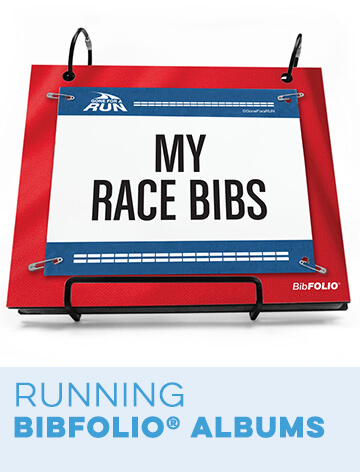 Our very first product was the BibFOLIO® Race BIb Album, which is the ideal way to preserve, protect, and showcase race bibs inside a durable album with anything from inspirational to playful covers - and runners rejoiced, as they finally had a place to safely showcase their race bibs. Since then, we have expanded the line and even combined a BibFOLIO album and a medal hanger into a single wall display. We have a wide variety of medal hangers of various sizes to accommodate even the largest running medal collections, such as our large Hooked on Medals Bib and Medal display which can hold as many as 180 running medals and is an attractive display in any room of a home. Our MedalART medal display is made from hand-forged steel and comes in a choice of sizes, and we also offer custom printed and personalizable Hooked on Medals and RunnersWALL medal hangers - and even single medal hooks to showcase a special medal, or the first one earned. Runners looking for a way to display their irreplaceable bibs and medals will find their biggest challenge is choosing just one, as we have such a wide selection of styles and designs. And they’re the perfect gift for a runner - and something there will be no shortage of uses for as more race bibs and running medals are earned with each subsequent race entered. 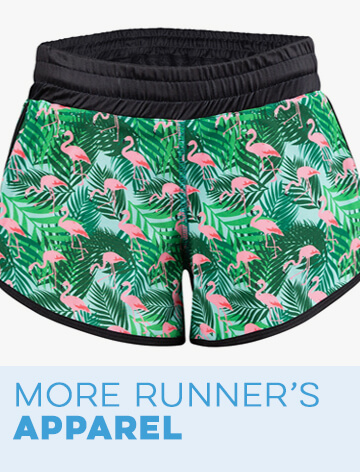 We love running… and we love recovering from our runs in comfort and style. Enter our PR SOLES® Recovery Sandals, which gently massage tired and sore feet, while helping to minimize leg and lower back pain, as well. The key is the ACUPOINT® soles, which have trigger points that massage runner’s feet as they walk for a speedier recovery. And who doesn’t want that? The lightweight, breathable, and refreshing runner’s recovery sandal is the perfect sandal to slip into as soon as you slip out of your running shoes. 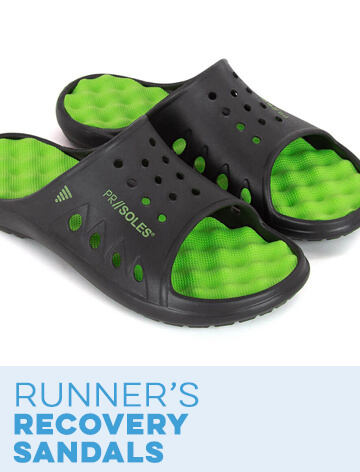 PR SOLES® the original recovery sandals are available in both a slip-on version as well as a comfortable flip flop, for the perfect look and feel, no matter which style you prefer. Recharge those sore feet wit PR Soles recover sandals they are the ultimate foam roller for your feet! We have an incredible selection of running-themed T-Shirts, tank tops, and hoodies with original designs - all created in-house by our dedicated artists on our design team in our office/production facility located in Connecticut, USA. With everything from fun and playful designs such as “Will Run For Wine” or “One Bad Mother Runner” to motivational designs including our popular “She Believed She Could, So She Did” design, available on everything from everyday T-Shirts and tank tops, vintage style T-Shirts, and pullover hoodies for the perfect running shirt to wear no matter the season or the weather. For running, we have moisture-wicking performance tees (both long sleeve and short sleeve) - also printed with original running designs, as well as stylish and comfortable runner’s compression socks to keep feet dry and comfortable while running, arm sleeves and everything from runner’s trucker hats to convenient pocket hats. Whether you’re celebrating Christmas, Halloween, Thanksgiving, The 4th of July, Valentine’s Day, St. Patrick’s Day - or some holiday you made up (it’s allowed) we have everything from holiday T-Shirts and hats, to arm sleeves and headbands - or even runner’s capes and tutus to really stand out at the next big race. Pick and choose the pieces you like, or buy one of our pre-assembled running outfits. 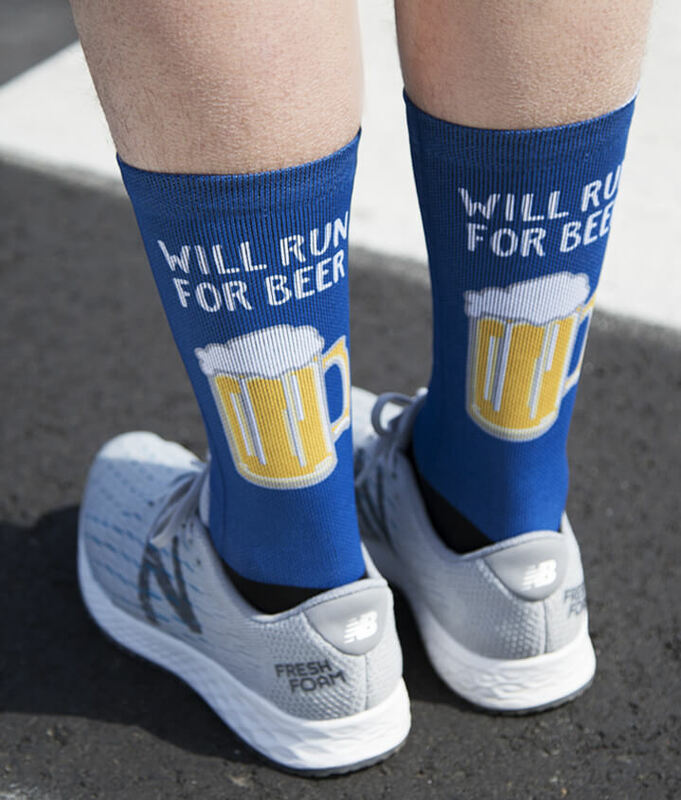 Want a “will run for beer” themed running outfit? No problem. Are you a running princess? Gear up, your royal highness. Are you powered by pixie dust? We have you covered as well! And what could be more fun on a race day than a custom printed, personalized runner’s cape with the text of your choice? Our team of designers work with our production team to ensure we produce the highest quality running gifts - and we proudly wear and have these products in our homes. Surprise a runner with some running home decor such as a personalized throw pillow or sherpa fleece blanket with a running design - perfect for celebrating the completion of a big race. Show a favorite runner how much you care with LED bracelets and lights for runners who are out in the early morning or evening - as well as custom ID bracelets that can save lives in an emergency. Jewelry is always an excellent gift for a runner for Valentine’s Day, Mother’s Day, or a birthday - as we have a wide selection of personalizable jewelry in sterling silver, gold vermeil, stainless steel for the perfect way to surprise a runner with a special piece of running jewelry, whether it’s a necklace, bracelet, earrings, or a ring - all of which show how much you care for a favorite runner, and understand the love for the sport. Our state shop celebrates runners from all 50 states - or those who love to run there, as well as special race gifts for those who can’t get enough 13.1-mile or 26.2-mile races in cities such as New York, Boston, and Chicago - and of course, those who wish all their runs could be Magical Miles. Virtual races are the ideal way for runners to get involved with races of specific lengths, and take a lot of the pressure new or inexperienced runners can feel when considering entering a race. They’re also fun for the most seasoned runner to challenge themselves while training or when there are no formally organized races to sign up for.Each month, we host a new virtual race, and participants receive a race package that contains an authentic race bib and medal, as well as an official race T-Shirt, and then choose the date (we usually run them for a week), time, and location of their race. They can run alone or with friends, but with the support of our virtual race community, who are also running the race all over the country. A portion of all virtual race proceeds are donated to a charitable organization that we have researched and vetted - including charities that benefit fallen heroes and veterans, seriously ill children and adults, as well as stray animals, among others, so you not only are participating a virtual run for your own health and fitness, but you are also helping others. 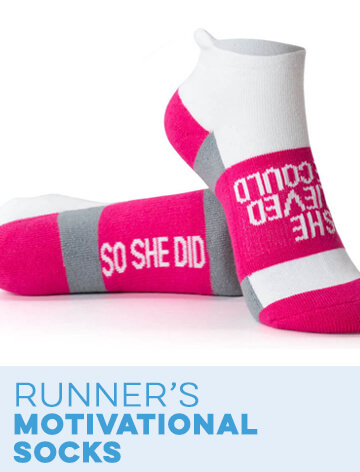 Our online store is almost overflowing with special gifts to commemorate important races in runner’s lives. While we have almost anything you can think of with 26.2 and 13.1 designs (even sterling silver earrings!) as well as custom printed pillowcases, T-Shirts, throw blankets, and other decor, we also haven’t forgotten about 5K, 10K, and ultra runners - as well as triathletes - and have an extensive selection of gifts for those runners as well. Our proprietary printing process enables us to reproduce a runner’s race bib on a picture frame, a coaster (or a set of coasters), a ceramic mug, a porcelain ornament, or a picture frame. 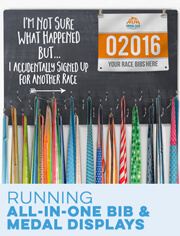 Simply scan in a copy of the bib and we’ll do the rest and create a one-of-a-kind running gift that is sure to be a favorite, and commemorates a special - or a first race. 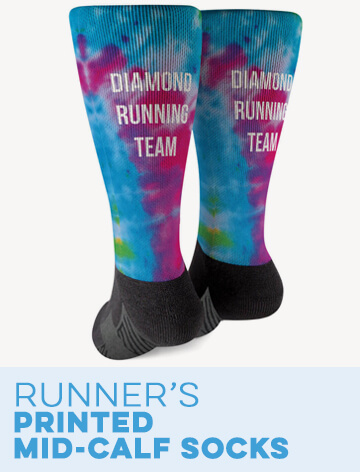 Many of our running gear and products can be personalized with your logo - whether you’re part of a running club, own your own running store, or are promoting a local race. You can add your logo to all types of T-Shirts, hats and performance headbands, arm sleeves, and even shoelace charms and lapel or bag pins. You’re proud of your running organization - and so are the members. Now let them show the world with our custom printed gear featuring your logo, and in some cases, the text of your choice, as well.